Heads up all Old Spice guys… And gals, too. Proctor & Gamble (P&G) got hit with a consumer fraud class action lawsuit alleging its Old Spice deodorant “ regularly and routinely causes rashes, irritation, burning and other injury to unsuspecting consumers.” How attrractive. Filed by Rodney Colley on behalf of himself and all others similarly situated, the Old Spice lawsuit contains a photo of Colley’s armpit areas, alleging that the severe rash depicted in the images was caused by Old Spice deodorant. Further, the lawsuit alleges numerous complaints have been registered against the product online, citing adverse reactions to the Old Spice deodorant and no adequate warnings or safety notices on the products. Old Spice After Hours Deodorant, Old Spice Champion Deodorant, Old Spice Pure Sport High Endurance Deodorant, Old Spice Artic Force High Endurance Deodorant, Old Spice Bearglove Deodorant, Old Spice Lion Pride Deodorant, Old Spice Swagger Deodorant, Old Spice Fresh High Endurance Deodorant, Old Spice Aqua Reef Deodorant, Old Spice Classic Fresh Deodorant, Old Spice Fiji Deodorant, Old Spice Wolfhorn Deodorant, Old Spice Champion Deodorant. Big news on the Employment Lawsuit front this week… Tyson Foods lost its challenge to a $5.8 million class action judgment in an unpaid overtime and wages class action brought by Tyson workers at an Iowa pork-processing facility. The U.S. Supreme Court in a 6-2 ruling written by conservative Justice Anthony Kennedy, upheld a 2014 appeals court decision in favor of the Tyson workers. The court has been considering an objection to the use of statistics to determine liability and damages claimed by the workers. The Tyson lawsuit was filed by workers in at the meat-processing facility in 2007. The plant employs around 1,300 people. The plaintiffs claim they were entitled to overtime pay and damages because they were not paid for time spent donning and donning off protective equipment and walking to work stations. More than 3,000 current and former employees are suing Tyson. The case is Tyson Foods Inc v. Bouaphakeo, U.S. Supreme Court, No. 14-1146. Fresenius Dialysis agreement… Here’s another biggie in the defective medical products arena. Fresenius Medical Care reached a $250 million agreement potentially settling claims alleging harm from their dialysis drugs, GranuFlo and NaturaLyte. The settlement amount will be $250 million, but they need 97% of the plaintiffs to buy in by July of 2016 or the deal dies. If everyone’s onboard, funding will be provided in August of 2016. The lawsuits, combined into a multi-district litigation (MDL), centers upon Fresenius’ two dialysates Granuflo and Naturalyte, which have been blamed for heart problems, strokes and death in thousands of patients. Reportedly, there are more than 1,800 lawsuits consolidated into MDL under US District Judge Douglas P. Woodlock in the District of Massachusetts (In re: Fresenius GranuFlo/NaturaLyte Dialysate Litigation, MDL No. 2428). The lawsuits allege that Fresenius Medical Care knew of the danger in their products and failed to adequately warn and inform the public. Further, there are allegations that claim the company neglected to warn health care providers as well as properly train them on how to use these dialysis products safely. Additionally, the lawsuits claim Fresenius failed to warn dialysis clinics, outside its own Fresenius clinics, of potential Alkali Dosing Errors. Both Fresenius Medical Care products—Naturalyte and GranuFlo—are used in the treatment of acute and chronic renal failure during hemodialysis. The concentrate is formulated to be used with a three-stream hemodialysis machine, which is calibrated for acid and bicarbonate concentrates, according to the FDA safety recall initiated in March 2012. The recalled Naturalyte Liquid Acid Concentrate and Naturalyte GranuFlo (powder) Acid Concentrate was manufactured and distributed from January 2008 through June 2012. Claims against Fresenius Medical Care include patients who have suffered injury or death as a result of using GranuFlo and/or NaturaLyte products during hemodialysis. Ok, that’s a wrap folks…Happy Easter and all the jazz! It’s on Sale—or—Maaaybe Not? J Crew got hit with a consumer fraud class action lawsuit this week, alleging the clothing retailer set an arbitrary “valued at” price for every item offered for sale on the J. Crew Factory store website. BUT—of course there’s a “but” —prices depicted as “original” or “regular” are allegedly misleading because no items are ever sold at the “valued at” price, but rather always sold at a price lower than the “valued at” price. So that would make those prices the regular prices, no? 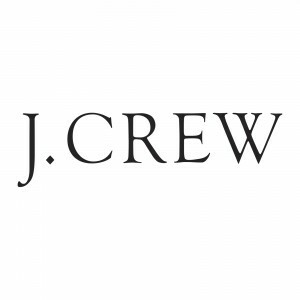 Filed by Joseph A. D’Aversa, individually and for all others similarly situated, the J Crew sale pricing lawsuit further claims the defendants state their advertised sale prices are only available for a limited time. However each sale is immediately followed by another, similar sale. Consequently, the prices on J. Crew’s factory website are not discounts at all, but in fact the regular prices of the items, the complaints states, in violation of federal regulations prohibiting the advertising of “phantom” price reductions. The lawsuit claims violations of consumer protection statutes in several states, violations of the New York General Business Law, violations of the New Jersey Consumer Fraud Act, breach of contract, breach of good faith and fair dealing, breach of express warranty, unjust enrichment and negligent misrepresentation. Nasty, Negligent, and Not the First Time, Apparently. The Swedish Medical Center, in Denver, is facing a class action lawsuit alleging negligence regarding the hiring of an employee who, the three named plaintiffs Angelica Porras, Catherine Pecha and Gary Wolter, claim exposed themselves and other patients at the center to HIV, hepatitis B or hepatitis C.
Specifically, the Swedish Medical Center lawsuit claims the hospital negligently hired Rocky Allen, who has been indicted on two federal counts alleging he was caught stealing a syringe filled with fentanyl from an operating room. According to court documents, by the time the hospital hired Allen, he had been fired from four other hospitals. Further, he was court-martialed in 2011, when he was serving with the Navy in Afghanistan, for the theft of fentanyl. Court testimony revealed that he is carrying an undisclosed blood borne pathogen. According to the complaint, despite having received negative test results for the three viruses, the three named plaintiffs were told that they remain at risk and should pursue continued blood testing. The lawsuit claims the hospital negligently inflicted emotional distress and failed to properly supervise Allen after hiring him. The plaintiffs are seeking class-action status for anyone who had surgery at Swedish between August 17 and January 22. The hospital has offered free blood tests to 2,900 patients. The named defendants are Swedish and its parent companies, Hospital Corp. of America and HealthONE of Denver Inc. The lawsuit also notes that another HealthONE hospital, Rose Medical Center, has experienced a drug-theft scandal. Yes, seem to remember that one. Wheelin’ & Dealin’ in the Worst Way? This is seriously uncool—Michael Mann, owner of Seattle-based Wheelchairs Plus, Inc., has been ordered to pony up $2.7 million to the Washington State Attorney General Bob Ferguson, who brought charges of consumer fraud against the company for overbilling Medicaid for some dodgy wheelchairs. The facts, as reported, are that Mann billed the Medicaid program for 119 new wheelchairs, when in fact used wheelchairs were delivered to the disabled and poor across the state of Washington. According to the allegations, between 2009 and 2012 Mann purchased used wheelchair parts from places including Craigslist and nursing home “graveyards.” He then assembled the mismatched parts into wheelchairs, painted them and sold them as new. Ferguson’s office claims that Mann billed Medicaid as if these wheelchairs were new, unlawfully receiving $550,000 from the Medicaid program. Wonder if there will be any new wheelchairs to replace the “recycled” ones? Ok…That’s a wrap folks! See you at the Bar! They’re Taxing What?? Not that I have a bias or anything, but it’s about time! Yup—it’s time to end the tampon tax! And five women in New York are just the gals to do it. The filed a tampon tax class action against the New York State Department of Taxation and Finance, claiming that the 4% sales tax charged by the state on tampons and other feminine hygiene products violates the Equal Protection clauses of the United States and New York State Constitutions. The suit cites the fact that the same sales tax does not apply to “medical” items like Rogaine, adult diapers and dandruff shampoo. Seriously—Rogaine has a “medical” classification? The ladies are seeking a permanent tax exemption for feminine hygiene products and a full tax refund for all women who have purchased tampons or pads in New York over the last two years. According to the lawsuit, most women spend $70 on tampons and pads annually. The state of New York collects $14 million a year from taxes on tampons from 5 million New Yorkers. That’s a lot of dough, Joe. Apparently, New York State exempts medical items from its sales tax, but excludes pads and tampons from the “medical” classification. According to the Department of Taxation’s guide for retailers, feminine hygiene products are “generally used to control a normal bodily function and to maintain personal cleanliness.” This differentiates them in the fine print from over-the-counter medication for a “vaginal infection,” which treats a “specific medical condition.” So, how do they define “treat” ? (Conveniently, it would seem. Pardon my bias). However, the plaintiffs contend that pads and tampons are necessary for the preservation of health, especially when compared to medicated Chapstick for a coldsore, by way of example. Wage & Hour Woes for Macy’s… Macy’s got hit with a proposed employment class action alleging unpaid wages and overtime and failure to pay minimum wage this week. Lost count of how many retailers have been slapped with these charges. This suit is brought by former employee Yulie Narz, who alleged in the complaint that Macy’s Stores West Inc. has “systemic illegal employment practices” in place, enabling the retailer to not pay employees for mandatory security checks of their bags conducted before meal breaks and at the end of shifts. Narez worked for Macy’s from November 2013 through July 2015, according to the lawsuit. She also alleges the retailer fails to pay employees, who work shifts of five hours or more, for a 30-minute meal break or 10-minute rest breaks for every 3.5 hours of work, as required by California labor law. This has resulted in a loss of overtime pay and generally improper wage statements, according to the complaint. The case is Narez v. Macy’s West Stores, Inc., number 5:16-cv-00936, in the U.S. District Court for the Northern District of California. Homeowners Win One. Here’s a win for the good guys. A force-place insurance settlement has been reached between HSBC and the office of the Massachusetts Attorney General Maura Healey for $4 million, ending allegations that HSBC took illegal commissions and kickbacks for forced-place insurance policies. Nice…and why not, right? Reportedly, thousands of borrowers were allegedly improperly charged force-placed insurance premiums, however, the affiliate did not perform the traditional functions of an insurance company. HSBC allegedly received compensation tied to force-placed insurance premiums until 2012, which the AG’s office believes was a conflict of interest. The settlement will provide $2.67 million in restitution to affected Massachusetts homeowners, and $1.4 million to the state of Massachusetts. Ok, so that’s a wrap folks… The sun is over the yard-arm and cocktails are in order—see you at the Bar!